Beyond the aesthetics, product quality encompasses safety to ensure the health of end users. In the crosshairs of safety regulations are food contact materials, which are found in common items that we use on a daily basis. These materials ensure the requirements of safety when used in products that come into contact with food, like packaging materials and containers; or if put into the mouth, like toys and cutlery. KRAIBURG TPE, a global TPE manufacturer of a wide range of thermoplastic elastomer products and custom solutions that cater to multiple industries, is committed to meeting global safety standards for food contact materials. The company is proud to announce that its specific TPE compounds have received the Declaration of Compliance (DoC), according to the GuoBiao (GB) standards in the People’s Republic of China. To establish the protection of human health, personal property and safety, products entering China, including chemical substances, intermediate materials and finished products, are required to comply with the GB standards. China, the world’s fastest growing economy, has enforced product safety laws and policies that are continually updated, to heed the public’s rising concerns on product safety. The food safety GB standards, particularly GB4806:2016, ensure sufficient regulatory compliance for food contact materials and articles in China. KRAIBURG TPE as a global TPE manufacturer, which serves as an intermediate materials manufacturer in the supply chain, adheres to the GB standards for food regulations, including the GB4806:2016, when sourcing for upstream material from suppliers, and during the processing stage. KRAIBURG TPE offers a wide range of TPE products and custom solutions that cater to multiple industries. Moreover, it extends a service package designed to provide support throughout the entire process: from technical expertise on customized compound modification; and individual advisory from its competent and market specific experts and worldwide onsite representations; to one-of-a-kind customer service support for a worry-free sales and service process. 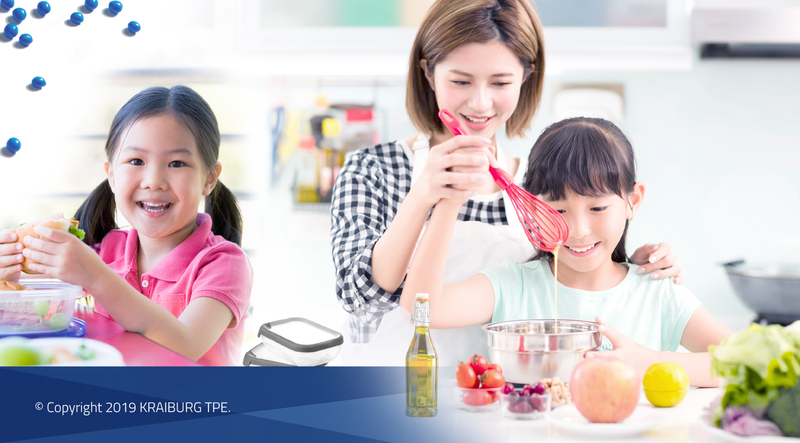 In addition, KRAIBURG TPE meets global standards for food regulations such as the EU Directive 10/2011, the EN71/3 European safety standard for toys, as well as the Food and Drugs Administration (FDA) Code of Federal Regulations (CFR), Title 21, during the compound development stage of the new TPE series for food product applications. Continuous product quality innovation to meet stringent worldwide quality standards is the hallmark of KRAIBURG TPE. KRAIBURG TPE adheres to China’s GB standards requirements.